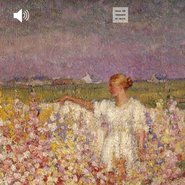 The audio experience explores the art, friendships and family of Australia’s French impressionist John Russell. Guided by curator Wayne Tunnicliffe you will be able to immerse yourself in the exhibition through both sight and sound. Hear the letters of John Russell to friends Rodin, Monet and Van Gogh read by Hugo Weaving. Enjoy the sonic scenes built from the original music and soundscapes composed especially for the event.